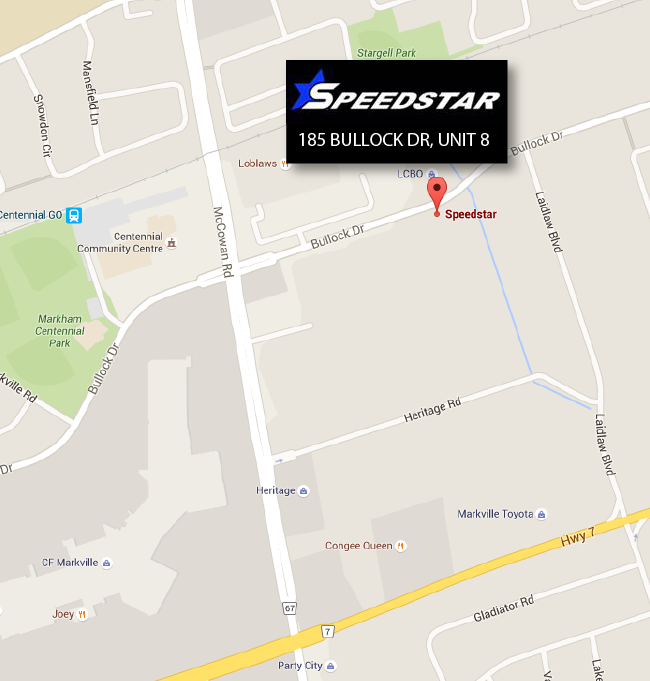 Just a friendly recommendation for customers who are traveling from the West End during peak traffic hours, please exit HWY 407 at Kennedy and make a right turn on HWY 7 (East Bound) and a left turn into Bullock Drive (We are located on the right side after McCowan). 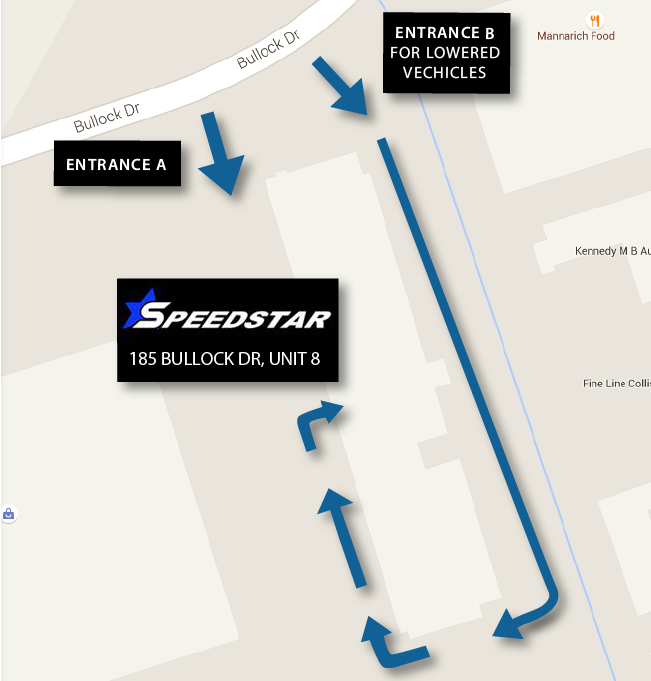 As a friendly reminder, for customers with lowered vehicles, we highly recommend using the entrance closer to Laidlaw Blvd (Refer to above map Entrance B) to avoid any diffculty entering the plaza (Due to steep slope of Entrance A). When departing from our plaza during peak traffic hours, it is highly recommended to make a right turn and exit via Laidlaw Blvd to avoid blind spots for safety concerns. 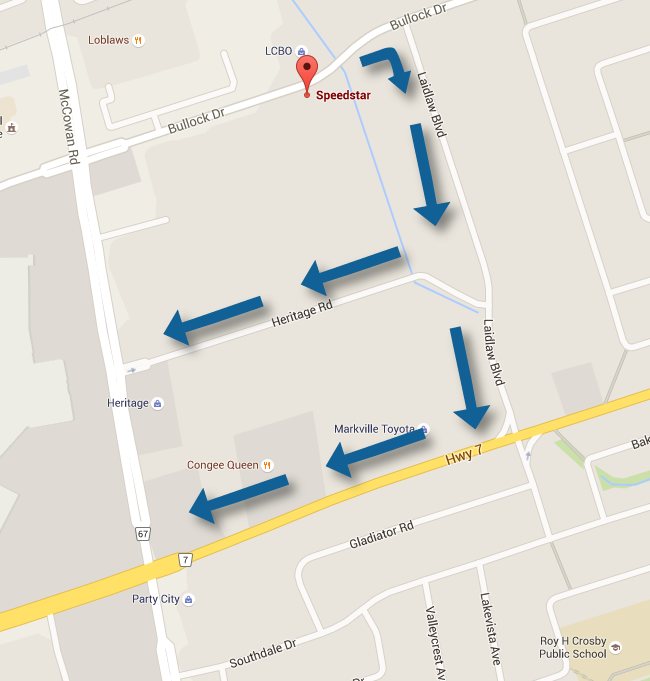 Depending on direction of travel, you can make a turn at either Heritage Rd or Hwy 7.